It was surprisingly calm and not at all hectic at KoFoo today. If you've not been, you should. A brisk team of Korean ladies dishes out an array of Korean food from the back of a generic deli right there on the north side of 23rd St. The seating is scant but the turnover fast and we always end up staying for the bibimbap. Not for those looking for ambiance. 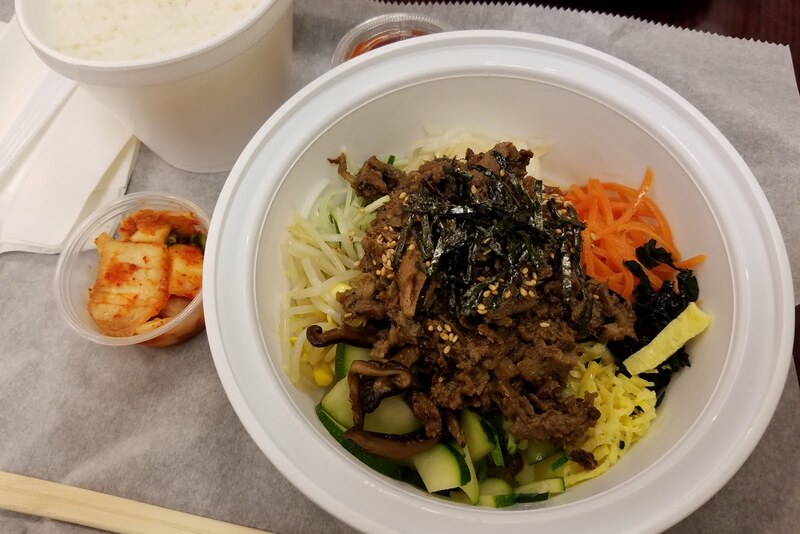 Yes for those looking for reasonably tasty Korean food in the Flatiron District.